The Sponge media lab is aiming to change the existent informational ecosystem in Eastern Europe. Currently this ecosystem is corrupt, as there is a chronic lack of independent and relevant information in the mainstream media. Most existing information is some sort of 'copy/paste' type of journalism, stemming from various corporations, power groups or politicians, who are using information channels to distribute propaganda to serve their own purposes. Alternative or non-profit media exists but has limited impact and no sustainable business model and no access to digital tools. Information stemming from this type of alternative media has no continuity and is totally dependent on stipends. Huge resources are consumed by hucksters who abuse the bureaucratic-intensive media assistance industrial complex. We are building a collaboration platform for media visionaries: journalists, coders, activists, legal experts, designers and students. Watch this video or read this post about our work in progress. Our first donor is the tech start-up Cyberghost who offered us to use an apartment in downtown Bucharest for our meetings and projects. Our first sponsor is EEA grants 2009 – 2014, through the NGO Fund in Romania. In 2014 we won a grant worth EUR 74,163 for the yearlong project called “Sponge - connecting networks and communities of media visionaries and innovators”. You can read a summary of our activity under this grant here. Some of the content on this site will be published within the framework of the SEE Grants between April 2013 and March 2014. For more details please read a detailed description here. The content of this website does not necessarily reflect the official position of the EEA grants 2009 – 2014. The website owner carries the whole liability regarding the correctness and accuracy of the presented information. This activity is financed within „Sponge – connecting networks and communities of media visionaries and innovators” project financed by the EEA grants 2009 – 2014, through the NGO Fund in Romania. 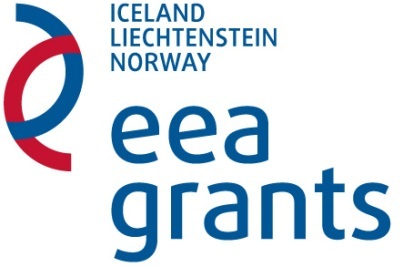 For official information on the EEA and Norway grants visit www.eeagrants.org.